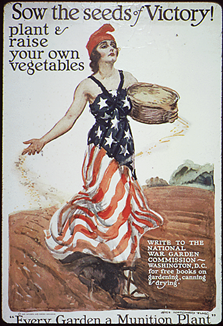 During both World Wars, Americans were encouraged to grow their own “Victory Gardens,” when the government began rationing food. Fresh vegetables in markets became very expensive, so individuals across the country began growing their food themselves. Farm families had been doing this for generations, but now urban and suburban folks were getting involved. At the peak of the war effort, one third of the food produced in the US was grown in home gardens. That’s nearly 20 million families growing their own produce, in backyards, empty city lots, and even rooftops. We may not be rationing food anymore, but you can save money and enjoy the freshest food possible by growing it in your own home or backyard. 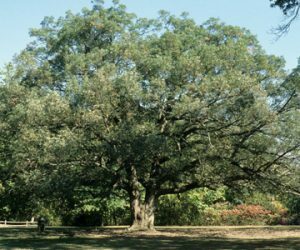 Here at the Cincinnati Zoo & Botanical Garden, we grow food for animals and people alike. The aquaponics greenhouse supplies our chefs with basil for pesto and veggies to be featured in daily specials at Base Camp Café or given to animals as enrichment. Click here to learn how a couple of catfish help us grow veggies year round in aquaponics. 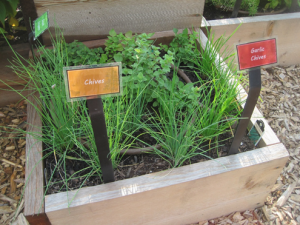 We also have the Edible Food Garden in front of the P&G Discovery Forest, where a variety of vegetables and herbs are featured to show guests some of the food that can be grown in raised beds or in window boxes. Everything from beans and peas to lavender and dill is grown from seed to show visitors how easy and productive a garden can be. The nice thing about growing a garden is that it can be for anyone, no matter where you live or how much time you can dedicate to your plants. 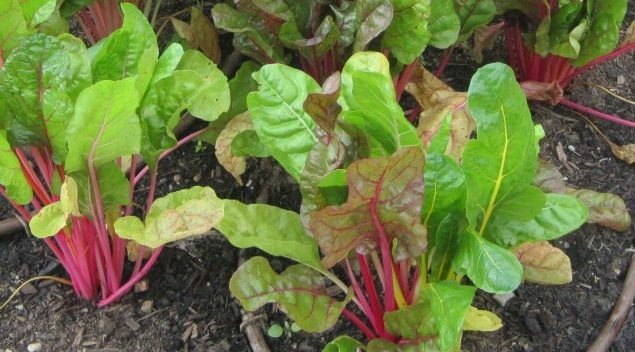 Anyone can reap the benefits (and the delicious harvest) of a home garden. All it takes is a little sunshine, seeds, water and a bit of time to get things ready. March is the perfect month for planning your space and what you want to do in the next few months into planting season. What do I use most? If your household eats a lot of salads, consider planting your lettuces and carrots. What do I like to eat? Spinach supporters rejoice—leafy greens are one of the easiest to grow at home. What makes the most money sense? Does the idea of fresh mint for ice cream sundaes and mojitos make your mouth water? Fresh herbs can be expensive, but easily grown at home for a fraction of the grocery price. 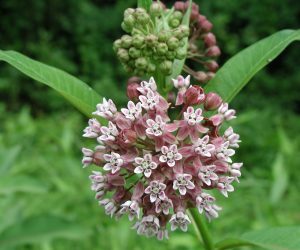 What is your hardiness zone (found online or on seed packets)? Schedule your planting days and find out what will grow in your area. Where are you planting and how much sun will you get? Full sun. 6+ hours of direct sunlight. Partial sun. 4-5 hours of direct sunlight. Partial shade. 2-4 hours of direct sunlight. Shade Less than 1 hour of direct sunlight. Tomato and lettuce starts in the greenhouse, planted mid-February. What kind of garden do you want? 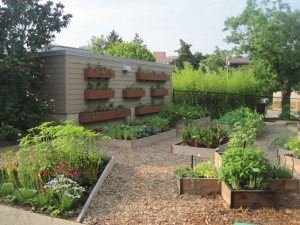 Raised beds plans are ubiquitous online, or simply mapping out a patch in your backyard. Your plans don’t have to be fancy, grab a notebook and doodle some ideas. Writing down expenses, what went right, what could be improved for next time, and making notes throughout your growing season will make your garden thrive for the future. The Edible Food Garden outside the Discovery Forest, featuring window boxes and raised beds. Container gardens are a dream for renters or folks with small living spaces. These are perfect for lettuces, herbs, container gardens, hanging baskets, or window boxes. Use what space you have, maybe pots along the windowsill or hanging from the railing of your balcony or fire escape. If you are planning to utilize outdoor space, double check with your landlord. 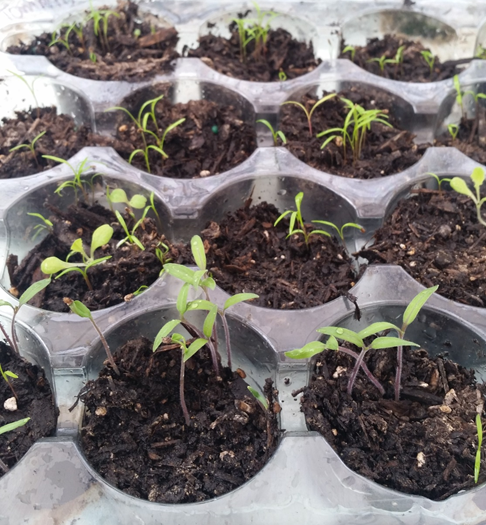 Many seeds grow well in containers: basil, arugula, green beans, beets, broccoli, cabbage, cauliflower, celery, any leafy greens, cucumbers, eggplant, herbs, onions, peas, peppers, radish, squash, Swiss chard, tomatoes, mini carrots and many more. If you are purchasing seeds from a hardware store or nursery, check the packet for direction on container size/special sun requirements. Indoors gardeners can try out their green thumb with sprouts, herbs, lentils, beets, cauliflower, mini and cherry tomatoes, carrots, lettuces, onions, as long as you have plenty of sunshine inside. Using pots that you can move indoors/outdoors can lengthen the growing season, especially in the unpredictable weather during spring and fall. Chives and oregano grown in raised beds here at the Zoo. 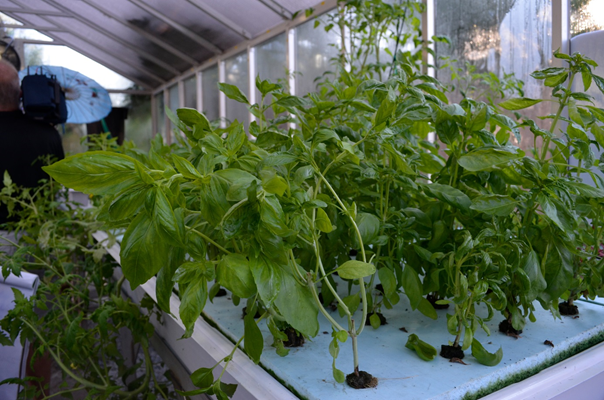 Home gardens not only feed your family, they can help you lower your carbon footprint too! Food miles are a way to assess the environmental impact of what we eat; it’s the distance food travels from production until it reaches the consumer. Your tomatoes could have traveled 2,000 miles on a truck from Mexico to the grocery store, more if your food had to travel by air. Traditional commercially-grown produce is picked before it is fully ripe, to lessen the chances that it will go bad on its journey from farm to fork. Food grown on your own property can be harvested at peak freshness, and with a food mileage of just a few feet from your kitchen. 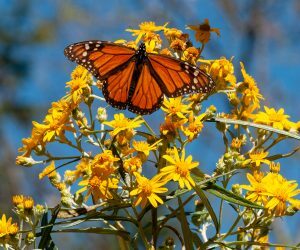 Want some local help with gardening? Civic Garden Center—Nonprofit horticultural resource focused on gardening, education and environmental stewardship. Check out their classes and events on the website. Find your inner peas—err Peace, this spring in your garden. Happy planting!